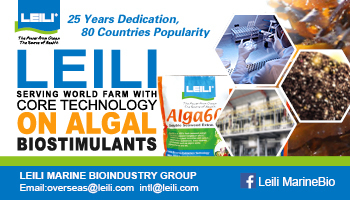 LEILI leads registrant of sargassum enzymatic extract（Algal bio-stimulants）in EU REACH certification. The prices of Urea fertilizer decreases by Rs 400 per 50 Kg bag in the local market due to timely import and distribution of the product. A surprising finding promises a cheap and environmentally friendly way of controlling locust swarms, a major plague that devastates crops around the world. 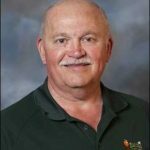 Stoller Enterprises, the leading developer of proprietary plant performance technology has announced the availability of a complete line of Stimulate products. Viet Nam needs to use fertilisers more efficiently and effectively to reduce environmental pollution while boosting productivity. Nitrogen fertilizers from farm fields often end up in aquatic ecosystems, resulting in water quality problems, such as toxic algae and underwater 'dead zones'. Fertiliser makers have sought creation of a $20-billion sovereign fund to help support acquisition of overseas assets of minerals such as potash and phosphates. Use of fluid phosphate fertiliser will be a better option for sustaining higher crop yields, said Punjab Agriculture Research Board (PARB) sources on Monday.